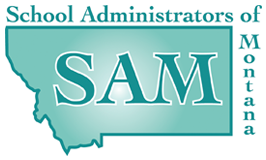 The Montana Consortium for School Networking (CoSN) chapter was formed in 2016 and is managed and supported by the Montana Educational Technologists Association (META), established in 2012, and the School Administrators of Montana (SAM). The association's mission is as follows: "Educational technologists united for the purpose of advocating for and supporting the visions, policies, practices, and funding for technology within all aspects of teaching, learning, and professional productivity." For more information on the CoSN/META Membership, click HERE. When you join META, your contact information will now be transmitted to CoSN Member Services where it will be uploaded and automatically activated for your CoSN membership. Once you are activated as a member of CoSN, you will be receiving an email with a welcome letter. You can click HERE to observe a sample letter.